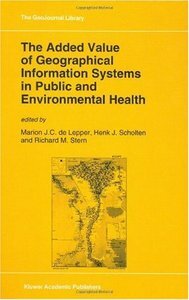 This book is one of the first to introduce the potential of the new and rapidly developing GIS technology in the field of public and environmental health. Contributions include papers originally presented in December 1990 at a meeting at the National Institute of Public Health and Environmental Protection in Bilthoven, the Netherlands, convened by the World Health Organization Regional Office for Europe to discuss the development of a Health and Environment Geographical Information System for the European Region. The contributors form a wide-ranging group of international experts and include leading researchers in the field of health and environment, prominent GIS experts and representatives of government agencies. This book brings together a balanced sample of written work that covers important aspects of the principles involved in GIS as well as demonstrating the opportunities which the use of GIS can offer to research and planning in the fields of public and environmental health. In addition, contributions focus on the demand and supply of spatial information in public and environmental health. As an illustration of the work being undertaken, some examples of current applications are provided, followed by a discussion on the possibilities of spatial analysis for research and planning in the fields. This book also addresses issues related to the implementation of GIS at both national and international levels. The volume not only provides a very good introduction to the state-of-the-art and developments in the application of GIS in public and environmental health; it can also be regarded as a seedbed for future research efforts. For students and teachers of GIS as well as for researchers, planners, policymakers and other professionals who wish to learn more about GIS and are concerned with the application, implementation and use of GIS in public and environmental health.